You spend eight hours a day with colleagues. You often see them more than some family members or friends. Logically, therefore, the cooperation does not always go smoothly and irritations might arise. However, a collision does not have to have any negative consequences and can even clear the air. Provided, of course, action is being taken in right way. If this does not happen, disagreements and irritations can result in a real conflict. I am going to explain here what a conflict is, what managers can do and how a good conflict handling interview can steer things in the right direction. 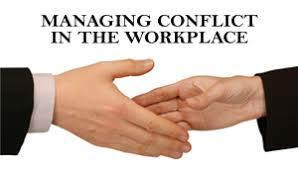 How to deal with conflicts at the workplace is a part of normal work situations. In addition, you may not ignore conflicts that are related to the style of management. The latter requires the courage to recognise that there is a conflict and that you play a part in it yourself. You may need to ask for advice or support, for example from a senior manager or a staff consultant. it is important that you do not only address (potential) conflicts and contradictions, but do so in a constructive way directed to discuss and solve. Handle a style of leadership that is focused on addressing and solving. inform employees about developments within the organization in a timely manner. ensure that clear agreements are made about the further approach to the conflict (when will the next meeting take place, with whom, et cetera). Involving a mediator is also a possibility in all cases above, provided that both parties are in agreement about this possibility. You can think of an internal or external mediator. Furthermore, you can think of a conflict handling interview. What is a conflict handling interview? 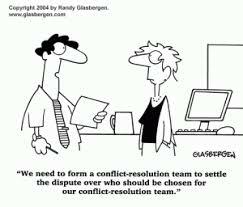 A conflict handling interview is a negotiation with the aim to bring two quarreling parties together again. During such a conversation you not only map out the problem (cause of the conflict), but also each other’s interests and objectives. This is ultimately to achieve a solution together and to create a basis for future cooperation. A conflict management interview can significantly increase your job satisfaction and motivation. It is a step towards a better relationship with a colleague. The better the cooperation goes, the better you can function. 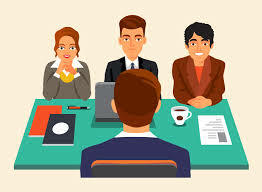 What parts does a conflict management interview consist of? 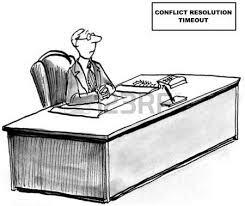 A conflict management interview often consists of six parts. With the majority of the components, the manager/mediator is in control. Begin the conversation by mentioning the goal: finding a solution to the conflict and restoring the cooperation. To achieve this goal, all parties must listen carefully to each other. You therefore mention the most important do’s and don’ts when it comes to giving feedback. An important rule is to talk in the I-form instead of the you-form. So ‘I find it difficult to communicate with you’ and not ‘you can not talk’. 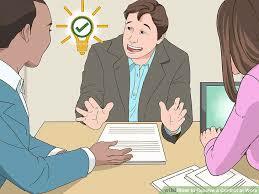 Also state the history of the interview and explain again how the interview will proceed (procedure). As a mediator you now have to be alert; this is the moment when most emotions come loose and you have to keep the control tight in your hands. Give both parties the opportunity to formulate the problem from their perspective. Make sure they listen to each other and that criticism is substantiated. Ask for concrete examples. What do you mean exactly? What did that look like? Summarize reactions regularly and check whether the other party has understood them well. “What is he trying to say now?” If the parties get bogged down in an undirected discussion, take action. You can structure the conversation by writing down the most important bottlenecks, for example on a flipchart. On the basis of the list you just made, you jointly go through all the bottlenecks noted. Check with each bottleneck whether both parties can find themselves in the description. Arrange the bottlenecks if necessary in terms of importance. The biggest problem originator is at the top of the list. Also involve the interests of both parties. Is it in favour of one of the parties to behave in a certain way? What importance does he intend to serve by giving the colleague little room in a meeting? Can that interest also be defended in a way without the colleague being affected? And above all: what common interests can both parties mention? Create an action plan together. You describe what steps have to be taken, who will do what, when something has to be done. You also agree on a date for an evaluation meeting to see if the chosen solutions work. 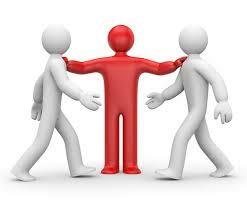 If you are working with people in whatever organisation or company, conflicts are bound to happen. We are all humans after all and differ greatly from each other. Companies and their management had better policies in place to deal with conflicts at an early stage, so as not to let them grow to something insurmountable. There are various ways employers and employees can follow in order to resolve potentially big threats. 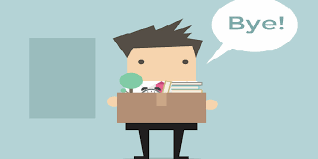 I hope you work for a company that really deals with conflicts, however, if they are not, things might get out of hand to the point where it is advisable for you to leave the company. In that case, I am proposing to you to become your own boss by starting your own internet business. Read all about this unique opportunity offered by the world’s best internet business support program by clicking on my full review of them here. In case you have any questions, please leave them in the comment boxes and I will come back to you within 24 hours. Wow. These are some great suggestions on having successful experiences at work. I have not had any issues getting along with my co-workers. My BOSSES on the other hand, have been a Bane to my existence. That’s why I decided to start my own business since apparently I work better on my own. I just wish that I had access to this advice back then when I was in the general workforce. Everyone of us who is part of the work force sooner or later encounters conflict at work. Many a time it is the bosses who are to blame for those quarrels. As I indicated a lot of things can be done to try and solve the situation, but if you happen to have the wrong management, which is so often the case, you better take leave. Becoming your own boss is the probably the best option.